Quick Quotes and request a quote are used often by people who search for private investigators on PInow. In the past, quote requests would be sent to your email and you would reply with pricing and contact information. Now there is a simpler way to manage requests, deliver quotes, and communicate with your clients. When someone selects Quick Quotes for an area you serve or from your firm, you will see it logged as a new quote request in your Lawgical account center dashboard. An alert will also be sent to your email, which you can respond to if you are mobile. 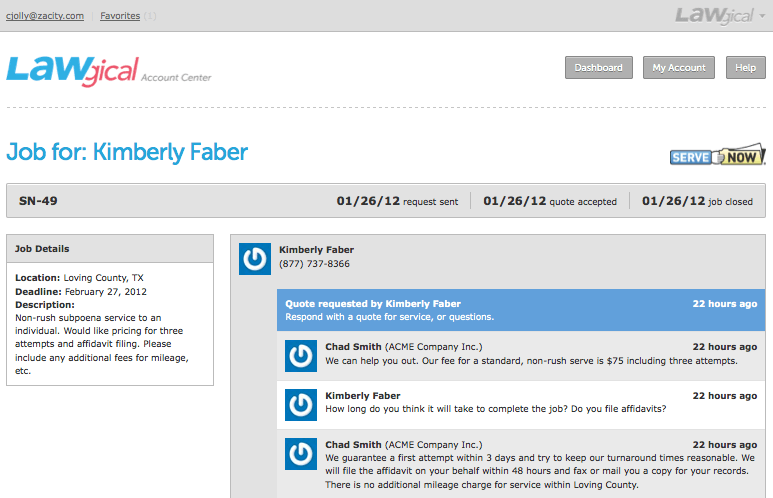 From the dashboard you will be able to review multiple requests, send quotes and communicate with clients. Within each quote you can communicate with potential clients through a comment thread. The quote number, job details and important dates including request date, quote acceptance date and job closing date are automatically recorded. 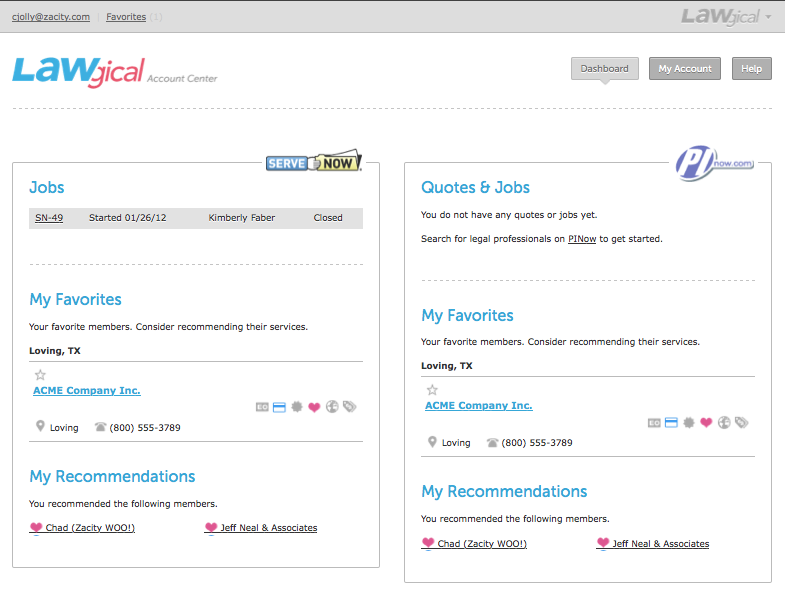 From the dashboard you can view all jobs and quotes and their individual statuses for your PInow and ServeNow profiles. As an additional tool, if you defer or forward work to other private investigators and process servers you can select them as favorites or recommend them to other members. PInow members now have a dashboard that presents a clean and organized interface for quote and lead management. The comment thread provides a professional-looking communication format. This development was made to simplify the quote request and lead management process. If you have further questions, visit our frequently asked questions page.